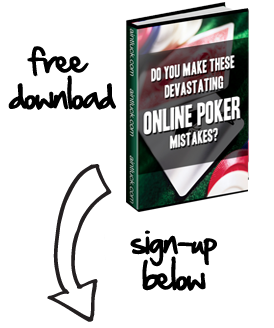 Razz poker is the most popular form of lowball poker played in online poker rooms. It’s thought to be one of the highest variance poker games on the planet but in reality that reputation is a bit of a myth. There’s no doubt that players with a good grounding in Razz poker strategy have a good edge in the vast majority of online games. This article will look at basic Razz Poker strategy with a view to discussing some simple razz strategy tips to help you take your game to the next level. No matter what form of Razz poker you are playing you need to understand the value of stealing the bring in and antes. You also need to be able to identify good spots to make your steals. When it comes to stealing you need to find spots in which you are visibly strong and your opponents are visibly weak. This will help your overall Razz Strategy. Example: you are sat in late position and the pot has been folded to you. You have K-K in the hole, a terrible holding, but you have an ace on display. There are two players behind you who are showing a Queen and a King as their up cards. This is a great spot to try and steal the bring in and antes. As far as your opponents are concerned you have a strong hand, because of the Ace you have on show, and they will respect this. Besides you already know they likely have weak holdings based on their up cards. Aggression is as key when playing Razz as when you play any other form of poker. You need to be thinking about your opponents hand more than your own hand when choosing spots to ramp up the aggression. Identifying when your opponent catches bad and betting into them is one of the most profitable plays you’ll make when playing Razz and is profitable Razz Strategy. Example: Lets say you were the pre-draw raiser and make it to fourth street where your opponent catches a Queen and checks to you. If you catch lower than a Queen then you should be betting, it doesn’t matter if you’ve paired up either, you should always bet in this spot. A lot of players will fold straight away and even if you do get called you can carry on putting the pressure on when fifth street is dealt which will win you the pot a good percentage of the time as well. You’ve probably noticed a theme in this article. When playing Razz poker you really do need to react to what you think your opponent has much more than what you actually have. Anyone can make the nuts and start betting but you need to look at your opponents hand and their betting patterns to get a read. Once you start to put other players at the table on hands then you can really start to exploit them. I’d be more than happy to play trip deuces every hand if I knew what my opponent was holding. For more information about Razz poker check out this limit Razz article.